It’s not easy being a widely mocked superhero. Just ask the guy whose powers consist of telling fish what to do. But scorn can easily turn to sympathy when faced with the sad fallout of the men who have to get paid millions of dollars to do the equivalent of imagining your finger is a ray gun and going, “Pew! Pew!,” only to be mocked when the movie turns out badly. Hath not a rich and internationally famous actor eyes, sir? Hath he not hands, organs, and probably an electric car? If you prick him, does he not bleed? And if you make jokes about his terrible superhero movie, does he not die of mild embarrassment, metaphorically? Truly, je suis Green Lantern. And Ryan Reynolds, who played Green Lantern in a bad superhero film, is now expressing his sadness that Michael B. Jordan, who played the Human Torch in an even worse superhero film, is having to go through that same experience, only in a more unfair way. In a new interview with GQ, when asked for his thoughts about the way that talented actors get pulled into superhero films that might hurt their careers, Reynolds calls out some of the racism and sexism in Hollywood, by saying Miles Teller (who plays Mr. 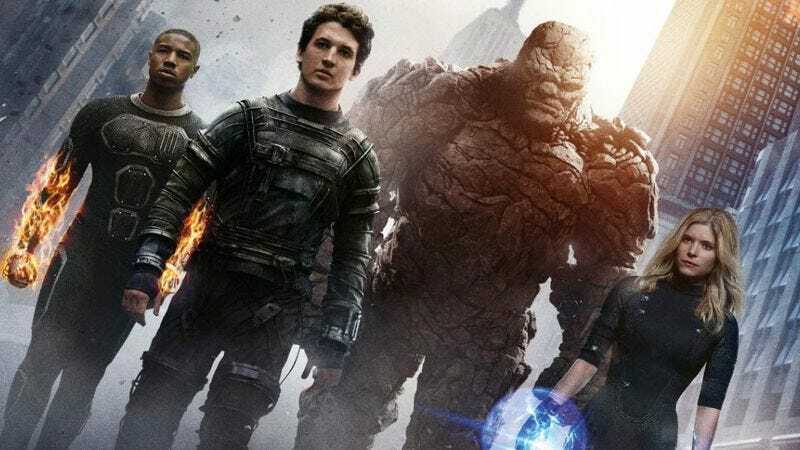 Fantastic) will shake off the stink of Fantastic Four more easily than Michael B. Jordan. I’m more frustrated about the Michael B. Jordan aspect than Miles Teller. You know, Miles Teller’s gonna recover. Miles Teller’s gonna go on to do amazing things, you know. It’s important that Michael B. Jordan continues to go on and do amazing things. When asked to elaborate, Reynolds was more straightforward. I know it’s not easy for a black actor. It’s not easy for a female actor. It’s not easy for a lot of people that are … That entire cast is amazingly talented. And I wouldn’t wish that on anybody. I mean, I know what that feels like. It doesn’t feel good. And it also is difficult, because you don’t feel like you can control that outcome. You know, as much as you want to. You can’t really. The actor also expresses his relief and satisfaction at finally being in a superhero movie that’s hopefully going to be good (the upcoming Deadpool), as well as pointing out what we all know—namely, that Adventureland is a great film. You can read the whole thing here, and then experience really positive thoughts about the human race by remembering how mad some people were at the very idea of Michael B. Jordan playing Johnny Storm in the first place.